It is needless to say that eBay is one of the most popular ways to sell and buy various goods and services on the Internet. So whether you are an artist, a dealer, or a furniture manufacturer, most likely you not only know about this online marketplace but also use it for your personal or business needs. Anyway, in this blog post, we are not going to tell you about numerous opportunities offered by eBay, but we are going to tell you about eBay freight shipping options. Why is it important? As a professional fine art shipping company in NYC with many years of experience in transporting huge outdoor sculptures and art installations, we can say with confidence that shipping large and heavy items is a logistically complex process. Thereby, while you can use such carriers as FedEx, USPS, or UPS for shipping small items, the shipment of large items requires professional help from specialized freight companies like Fine Art Shippers. 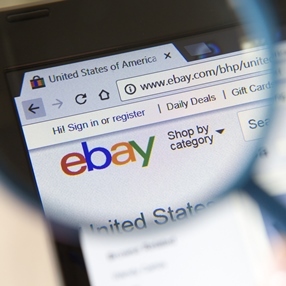 So let’s take a closer look at eBay freight shipping options! As you already know, there are several modes of freight shipping used by crating and shipping companies throughout the world. One of them is Less-Than-Truckload shipping or simply LTL, which is today the most common eBay freight shipping option. What does it mean? In a nutshell, an LTL shipment means that the cargo is too heavy or large to be shipped via standard carriers, but it is too small to fill a full truckload. As a result, several shipments to the same destination are combined into one big shipment to justify the shipping cost. Besides, this option also ensures the fast and most efficient delivery of the transported cargo. What else should you know about eBay freight shipping? First of all, keep in mind that shipping freight that is too large or heavy for standard carriers is more expensive for a simple reason: the whole transportation process is more complex and time-consuming, especially when it comes to international shipping. Secondly, each item should be properly packed and crated because, in most cases, freight shipments are moved by forklift. Thereby, if you want the eBay freight shipping process to be as smooth, safe, and cost-effective as possible, it is very important to choose the right freight company for this job. Please feel free to contact Fine Art Shippers, and we will ensure that your items are all delivered to their destination safe and sound!